It’s been a criminally long time since we’ve had a display review, partly because we’ve been changing and revamping our test bench with some new things you’ve been asking for, and partly because Jarred has graciously offered to let me do display reviews while he focuses on notebooks and other greater things. His are some hugely big shoes to fill, so go easy on me. ;) But enough with that, let’s dive right in! If you’re familiar with the G2410, you’ll find that the G2410H is much the same, with one major difference - a higher-end height adjustable stand. This ergonomic shortcoming was something criticized in its earlier brethren, which many argued sacrificed too much in the way of utility. It's amazing how much importance one can impart to a simple stand. The G2410H rectifies the matter this time with a height, rotate, and tilt adjustable stand complete with a cable management port square in the back. 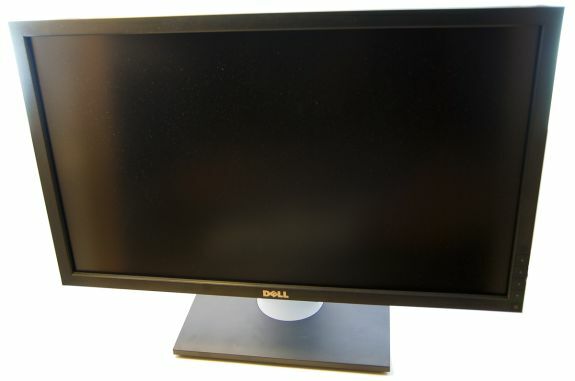 If you’ve seen other Dell monitors, you’ve probably seen this mount before, as it’s common to the U2410 and myriad others. In a sea of relatively generic TN panels, the G2410H doesn't stand out immediately, though it does feature WLED backlighting instead of older CCFL technology. As we’ll see later though, this combination isn’t going to set any records for color gamut, as CCFL again usually produces better results in practice. But the real point of using WLED is all about that green cred. It’s apparent that Dell’s aims were more on keeping power consumption down with WLEDs and a few other things. As mentioned before, this is a refreshed G2410 with more attention to ergonomics, but with the same emphasis on keeping the product green. That greenness starts right out of the box, as packaging foregoes polystyrene foam in favor of an intricately-designed cardboard cladding. The difference is actually more striking than you’d expect out-of-box; removing the monitor from its corrugated cardboard shell is a bit of a puzzle in some ways. It’s well designed however, and there wasn’t any apparent weakness that would lead us to believe it’s more prone to getting damaged during shipping than other packaging. Dell claims that they’re using less plastic in the box as well, which is difficult to quantify, but seems likely considering just how much cardboard is inside. The display’s components and panel are also eco-friendly - the panel is arsenic, mercury, BFR, CFR, and PVC free. Most surprisingly, the chassis and bezel plastic is made of at least 25 percent post-consumer recycled plastic. Packaging and construction are one thing, but what really matters to display-shoppers is how well the G2410H sips energy. Dell claims that their energy-sipping power supply draws less than 0.15 watts in sleep mode using VGA input, and under 20 watts at maximum brightness. Of course, this is also the logical reason for opting with WLED backlighting instead of CCFLs; energy consumption is less. There’s also an ambient light sensor, and three power profiles to balance brightness level against power consumption. At the end of the day, Dell claims that adds up to a 60% decrease in power consumption compared to the 50 watt drawing E248WFP. The G2410H is relatively spartan when it comes to onboard ports - the only options are DVI-D and VGA. There isn’t any option for HDMI, USB, or even DisplayPort like we’re starting to see crop up in a surprisingly diverse array of displays. That’s a bit of a letdown, but it isn’t a game-killing omission for the display. If you haven’t gotten the picture yet, this monitor is definitely oriented toward energy-conscious businesses doing office and productivity work before all other. Nice review, and if you mention it, I remember the nice sounds the CRT made when starting, stopping and changing graphic modes. That's what a REAL monitor does. My 22" Sony CRT will crush any LCD out there (literally) When I get on an LCD and turn it on to no sound I get pissed. When you turn a CRT on it lets you know it means business with the *BWHHH* it makes, and the click when you change resolutions is another thing missing from LCD. There's a bunch more coming! Still looking for an LCD that won't be a downgrade from 10yr old CRT technology. For the price $339, one can acquire one or more flagship CRT units, such as the fw900 or a7217a. The problem isn't it collects dust easily; it's that there's too much dust in that room.